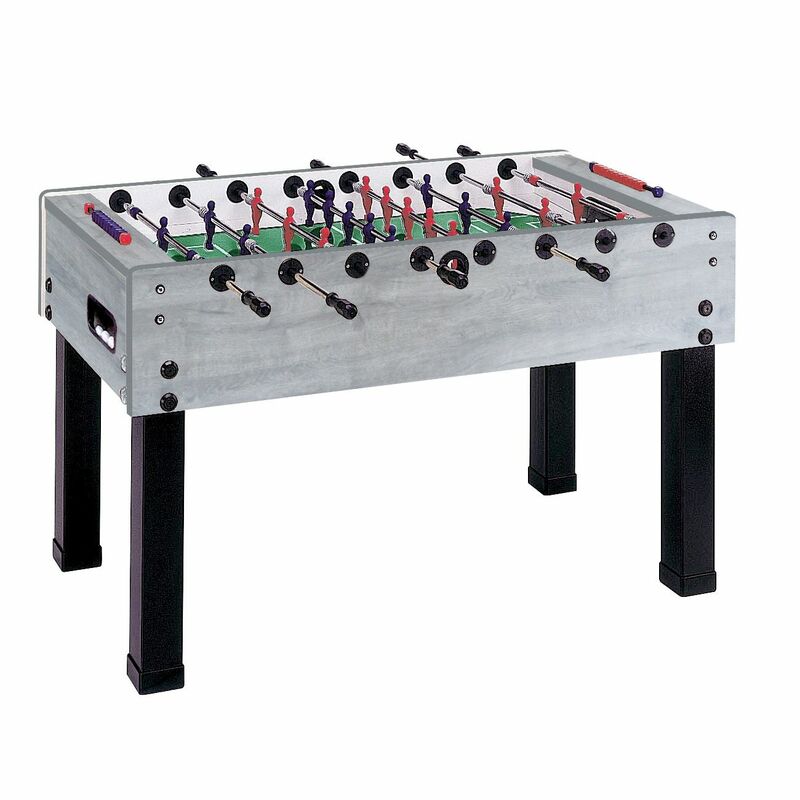 Sturdy, stable and great-looking, the Garlando G-500 Grey Oak football table is an ideal choice for your home, as well as for schools, clubs and community centres. 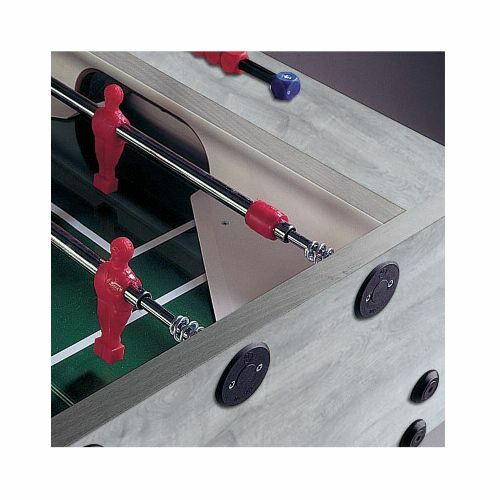 This robust table has a plastic laminate playing field and a durable cabinet produced from medium density, 2.5cm thick fibreboard with melamine coating. The heavy duty 4”x4'' legs are made of steel and coated with a washable powder varnish, whereas 16mm telescopic rods are coated with an anti-rust chromium-plating for solid durability. The red and blue players made of plastic are moulded onto the bars and there are fully rotating goalkeepers for easier scoring. 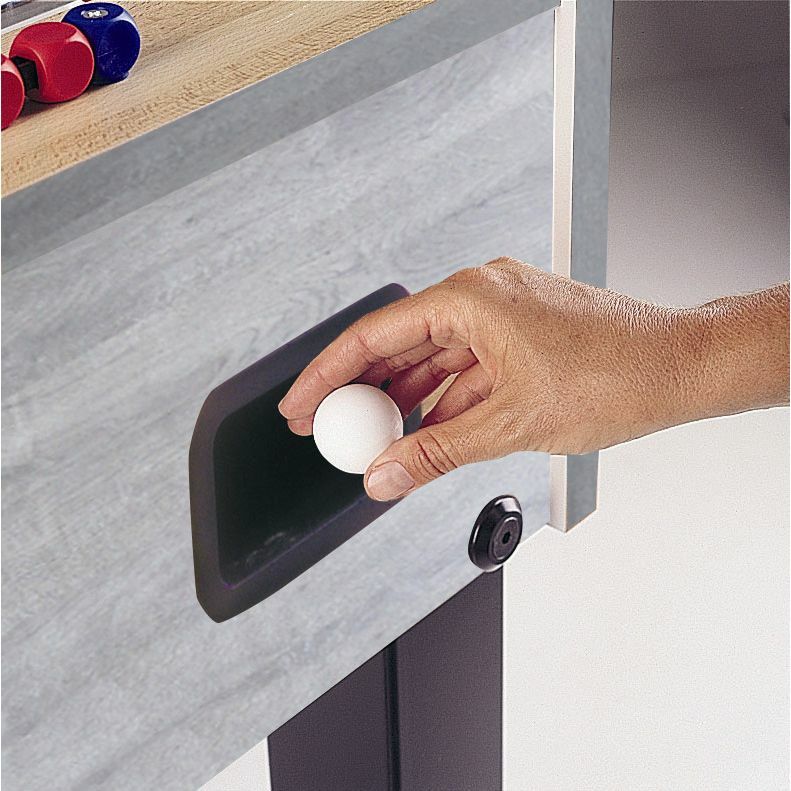 Plus, the table comes with 10 standard white balls and ensures quick and effortless ball recovery using an exit located behind each goal. for submitting product information about Garlando G-500 Grey Oak Football Table We aim to answer all questions within 2-3 days. 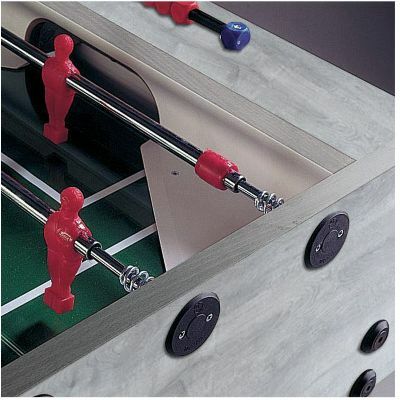 for submitting product information about Garlando G-500 Grey Oak Football Table. We aim to answer all questions within 2-3 days. If you provided your name and email address, we will email you as soon as the answer is published. 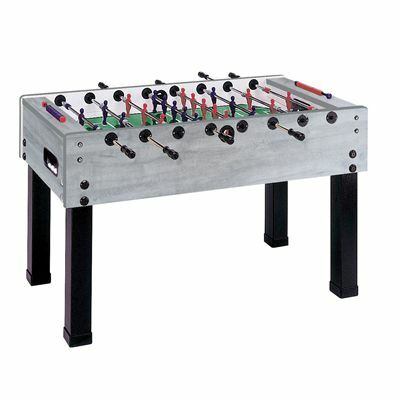 for submitting product review about Garlando G-500 Grey Oak Football Table.